magine if you were reading a textbook essential for a particular subject. How would you feel if out of every four words, one is completely omitted? No doubt, you would return it to the bookstore and ask for a refund! Yet, such problems are actually plaguing schools nationwide as we speak students are literally missing out words from their teachers in poorly designed classrooms and lecture halls. In such cases, there is no refund - only social costs that continue to plague succeeding batches of students. In this article, we will discuss ways in which the design of educational spaces have gone wrong from an acoustic point of view - and some possible solutions for noise control. These 2 problems directly interfere with speech - the most important element we need to preserve in education. Excessive reverberation can turn the tiniest whispers of students into a mess of sound when they are repeatedly reflected off the walls. This increases the noise floor of the classroom, and the teacher would have to raise her voice to be heard. The teacher's voice, in turn is also subject to that same reverberation, causing a notable loss in speech intelligibility. Even when using a microphone, reverberation problems can make matters way worse than without a microphone. 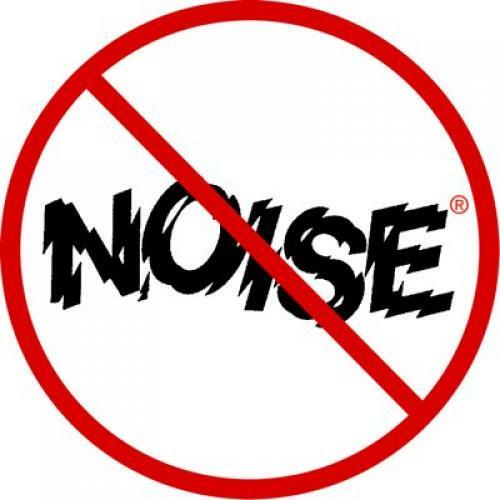 Excessive noise is usually due to poor isolation between classrooms. Some schools feature open plan classrooms, which are a terrible idea from an acoustic point of view - because unwanted noise from a neighbouring class can be readily transmitted into another. Noise control becomes difficult, even if attempts are made to instill discipline among students. There are other sources of noise, but is usually a combination of excessive noise and reverberation that causes speech to be unlistenable after long periods of time. Why is Lack of Noise Control Detrimental? One would think only hearing impaired students need better noise control. This is not true. Even if a student has no hearing problems, there are many instances where noise control in a classroom has a significant impact on his learning. For example, younger students do not have the same amount of contextual knowledge as an older student attending college. As a result, during formative lessons where important fundamentals are taught, missing a single word or two can seriously impede their progress in learning. A younger student's lack of understanding - just because noise control was not implemented is a regrettable situation. Even older students need better noise control. Foreign students enter universities where English might not be their first language, and it is often the case that a lecturer's words become unintelligible due to poor noise control in the design of a lecture hall. The question that we must ask is this - why are school classrooms in such an undesirable state? In many cases, educators and architects are not aware of such problems and their associated solutions. At the earliest stages of construction, if only the exact same materials were used with insight with an acoustic consultant - noise control problems can be eliminated before they even arise. The quality of education for our students would have improved tremendously - better academic performance from enhanced learning spaces have undeniable social and economical benefits. What Solutions for Noise Control and Acoustics can we adopt? Choose an ideal location - The best solution for noise control is to pick the correct location right from the start. Make sure that the classroom is located away from noisy electrical machinery and generators. Also, even within the school compound - gymnasiums, basketball courts and car parks are places where there is significant noise that could affect classes. To address flutter echo and excessive reverb - Noise control on high levels of ambient noise can be addressed through acoustic treatment. Try clapping your hands in the centre of the room. If a zinging sound is heard, there is a flutter echo problem. Adding some absorber panels at target walls (usually the sides) can help to cut down excess reverberation and eliminate flutter echo. This is an effective noise control method for a room with only hard surfaces. For Classrooms with High Ceilings - Some older classrooms have high ceilings, causing excessively long reverb times of more than 1s. Adding a suspended ceiling can be an effective noise control method by absorbing unwanted sounds such as student chatter, reducing the noise floor. Reinforce Important Reflections - Although a big part of noise control is the elimination of unwanted reflections, some reflections can reinforce the teacher's voice. If the teacher's voice can be reflected off the ceiling to the back of the room, overall intelligibility is improved. To do this, a small area in the centre of the ceiling should be made of a hard, reflective surface such as gypsum board. This is useful for larger spaces such as lecture halls. Smaller discussion rooms might not need such a design. Isolation between rooms - Some newer classrooms use lightweight and thin walls between adjacent classrooms. The thinner a wall, the more sound can leak through. For better noise control between the walls, a gypsum board construction filled with insulation (rock wool or fibreglass wool) can prevent sound leakage. For very noisy rooms such as science laboratories, proper sound isolation may be needed to prevent it from disturbing adjacent rooms. Distance between doors - Classroom doors should not be located right beside each other, as unwanted sounds from the neighbouring class can travel through flanking paths. Keep distances between neighbouring doors as far apart as possible. This is by no means an exhaustive list of noise control solutions in classrooms. However, some of these solutions can be applied to existing classrooms to improve the intelligibility of speech. By incorporating better noise control in classrooms, students will spend less time guessing and more time doing what matters the most - learning effectively and efficiently. Is there anything you would like to add about the topic? Do you any questions about it? Please use the comments to tell us your opinion. We care about it! Check out http://www.soundzipper.com/blog/ for news and tips in recording mixing and acoustics!